The most rugged of the Hunter range, the Balmoral range is a stylish, high performance boot that should provide comfortable foot support throughout the seasons. 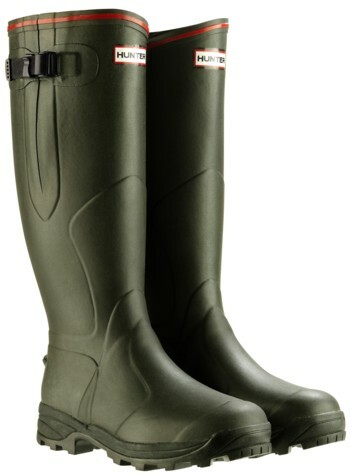 This high performance wellington boot from Hunter has all the features of the classic in terms of fit but has the benefit of additional comforts that elevate it above the Hunter original. If you want more than basic waterproof boots and you are a fan of Hunters then these may be just what you are looking for. They are probably the most ‘rugged’ of the Hunter range. 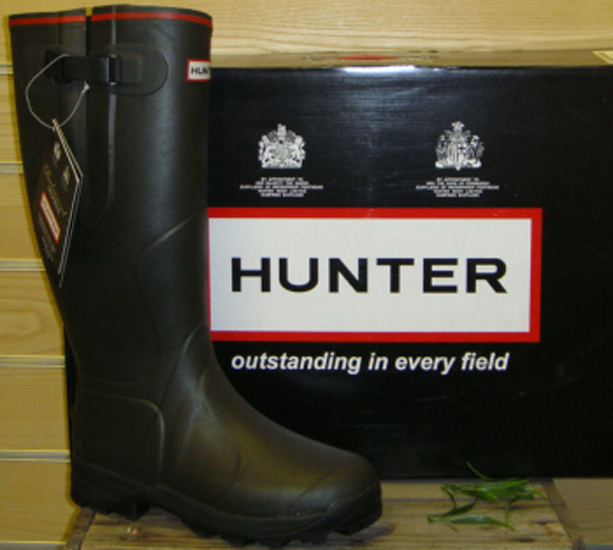 Advertised as a shooting boot on the Hunter website, they are designed for comfort and functionality. With a technically advanced construction including anti-bacterial linings and outsoles the Balmoral provides extra support, comfort and warmth across varied terrains and in all weathers. The overall look of the boot is classic and stylish; they are rounded at the top and finished with a nice detailed piping. The natural rubber is finished with a leather look boot finish that is quite smart to look at. Neoprene lined for a warm and a cosy fit these boots will take you all the way through the year without needing thermal socks when the weather turns cold. The foot-bed has cushioned and contoured insoles that have a reinforced instep ensuring comfortable support. In addition, the heel contains shock absorbing pads and energy rebound technology at the front of the boot guaranteeing that even long walks and prolonged use will be enjoyable. 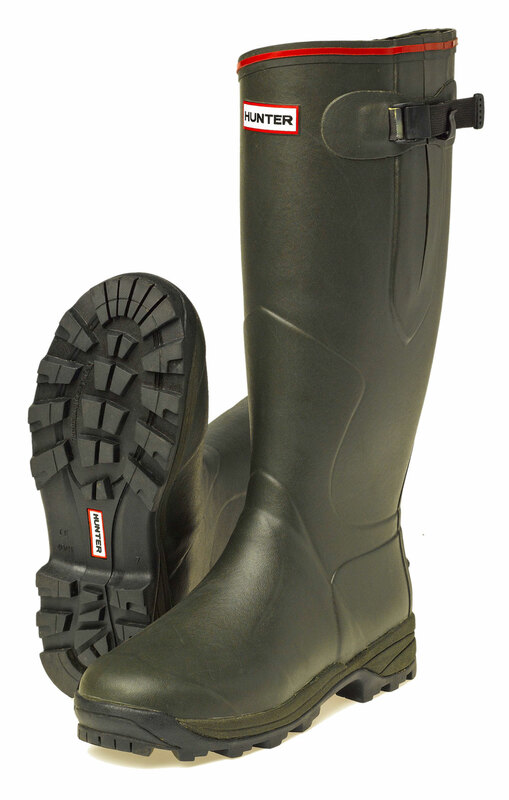 The body of the boot is vulcanised natural rubber with an adjustable calf strap for a perfect fit. This allows for some flexibility on the sizing, and means that they can expand by up to 6cm which would allow for wide calves, or simply thick socks and jeans depending on your situation. The moulded sole is made of synthetic rubber with Blown EVA. 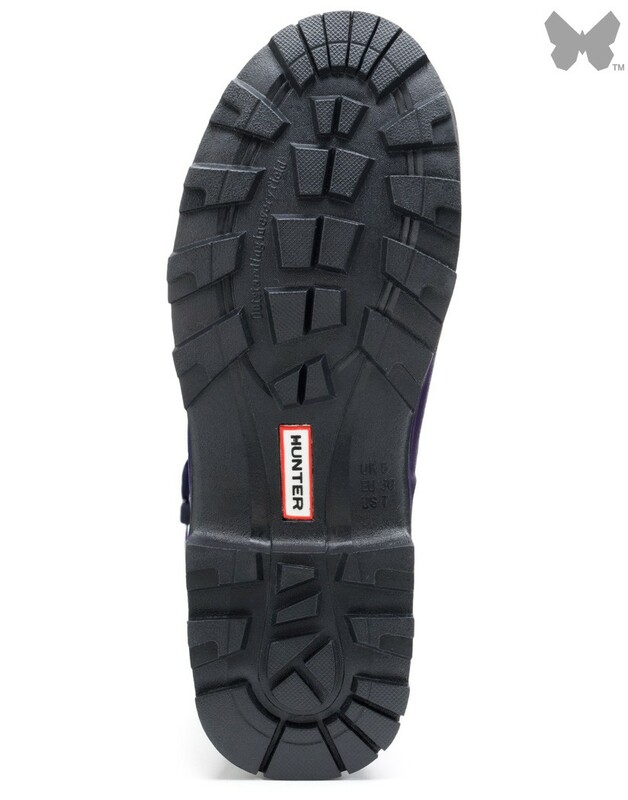 It has the added benefit of a removable insole that allows you to adjust the fit of the boot between seasons. Built on an orthopaedic last ensures the excellent fit that many people have come to expect from the Hunter range. Although more expensive than a regular welly ranging from between £89.00 to £115.00 they do offer more comfort than a standard boot. With 4 out of 5 stars after 26 customer reviews on Amazon they seem to be a good choice. Some of the not so positive reviews have focused on the quality of the boot materials. Personally, I’ve been through a few Hunters in the last few years and have found leaks after each winter season in the sole of the boot, typically between the lugs and ridges where the boot bends under the ball of the foot. As such, they are warm and comfortable but their longevity seems questionable for the investment. However, it is worth noting that Hunter do advertise these boots as part of their Shooting range rather than as walking boots. This may be something you might want to think about before you commit to purchasing a pair. If you are looking for waterproof boots that are going to be for light duties but want a little something extra in the comfort department then these Hunter Balmorals could be just what you are looking for. Available in dark olive or brown they seem to be a good choice for average needs. High performance boot, featuring the latest in technology for the field. The Balmoral Neoprene boasts all the benefits of the Classic in terms of fit and finish, but has additional comforts such as cushioned insoles and neoprene lining. Made from closed cell construction, neoprene is famed for its insulating properties which not only keep the legs warm but also helps create a snug fit. 5.0 out of 5 stars highland caper! really comfy & robust and great fit.Just used them up in the highlands and performed to my expectations.like the fact they were so warm which is unusual for wellies! Comfort – designed with adjustable straps, removable insole, and an orthopaedic sole construction these boots offer the highest levels of comfort. Style – depending on your point of view, owning a pair of Hunters has a certain brand appeal. Longevity – although the Balmorals are on the more robust end of the Hunter range, since the company changed ownership and their production techniques, these boots may not last more than a few years. Price – An average retail price of £100 mean that these boots may be considered as more of an investment than a simple pair of rubber boots to get muddy in! The top blog for reviews and buying guides, tips and advice on how to pick the right boots for you! We'd love to hear from you. If you have any questions, feedback or suggestions for boots to review, please contact us.